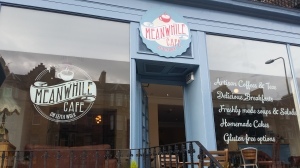 Having taken over the premises formerly known as I Heart Cafe, earlier in the year, and now having completed its transition to new badging and design as the Meanwhile Cafe, I popped in to give this transformed venue on Haddington Place a try. It was very quiet, particularly for a Friday lunchtime, which didn’t bode entirely well. 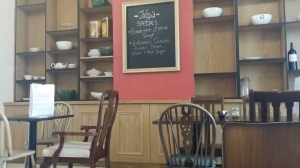 With such a lack of punters, the unfocussed larking around from the serving staff was rather misplaced and distracting. 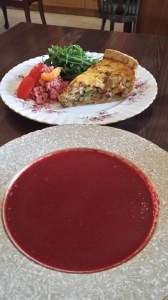 Their daily changing specials board contained two dishes that looked likely to please, so I ordered both the beetroot & mint soup and the pumpkin and bacon quiche. The kitchen took an inordinate time to prepare these, once the counter staff finally passed on the order. Dishes arrived at the same time, which partly explained the delay. The quiche was really pretty good with nicely buttery pastry and filling with good flavour. The accompaniments were a little strange, but it was a pleasing enough dish. The soup was disappointing, though. The flavours of beetroot and mint almost entirely cancelled each other out leaving a bland and unseasoned base. The texture was decent, but it was otherwise a complete dud. I actually returned a couple of weeks after this initial visit, with none other than Keep Calm and Fanny On, but things were similarly underwhelming. 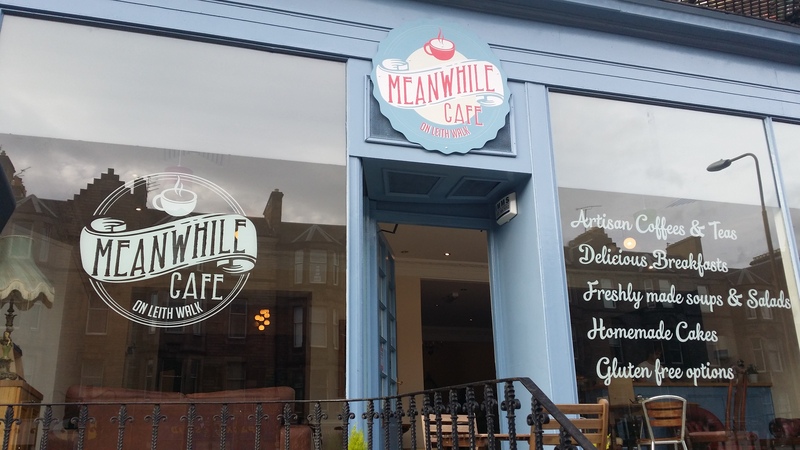 So overall, the Meanwhile Cafe is a significant downgrade on the previous place. 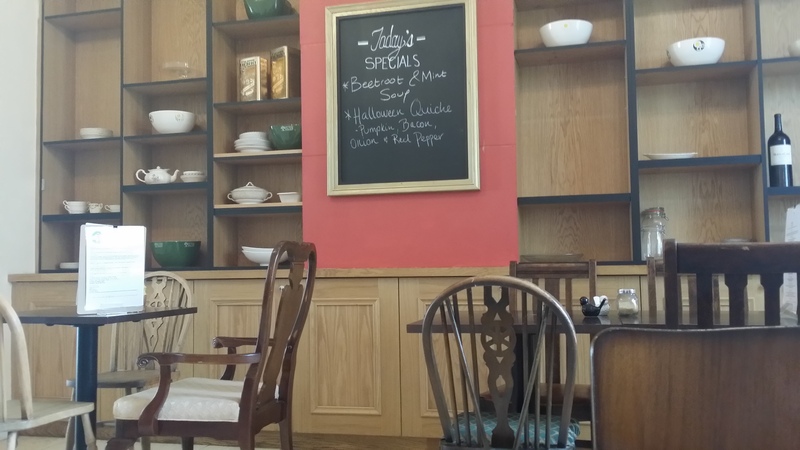 It has a strangely stale atmosphere, service needs to be much more focussed and the food is hit and miss. It’s a real shame as this was a cafe I’d valued highly in the past.